Boegger Industrial Limited manufactures first-class tower packings, tower trays, distributors and demisters in various dimensions and styles. 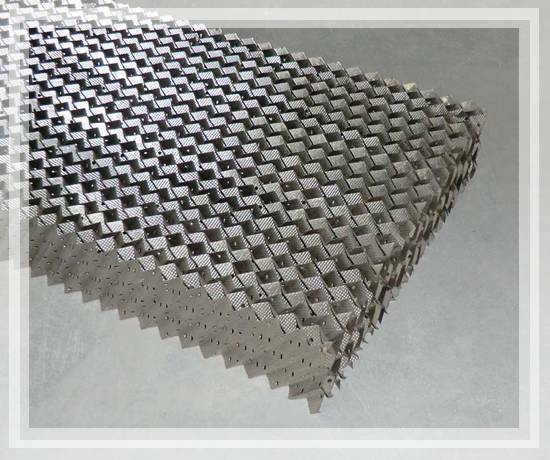 Our products are mainly including: metal perforated plate corrugated packing, metal wire gauze structured packing, random packings (metal cascade mini ring, metal super mini ring, polyhedron empty ball, and so on), floating valves tray, guided sieve tray, fixed valves tray, trough pan distributor, two-stage trough liquid distributor, spray nozzle distributor, wire mesh demister, wave type wire mesh demister, drawer type demister and PTFE demister. All of our products can be customized according to your requirements. 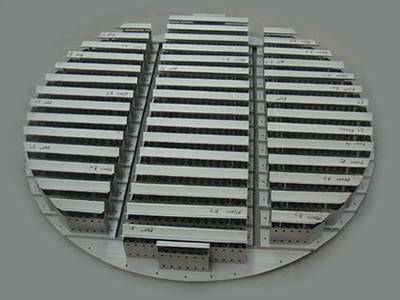 Our company has twenty-six-year production experience. Our target customers are middlemen, resellers and purchasers of factories. Our quality tower packings, tower trays, distributors and demisters can provide effective solutions for separation of gas and liquid, distillation for the hard separation system, the thermosensitive system and high purity products. Our first-class tower packings, tower trays, distributors and demisters are widely used in separation towers, absorption and distillation towers in chemical, environmental protection and light industries, etc. Seven indicators system for you to feel comfortable buying. 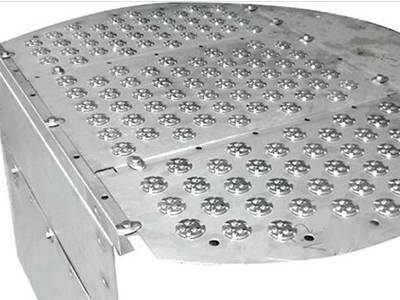 Floating valves tray has many holes and valves on the surface and it can be used in applications where higher turndown ratios are required. We are glad that the metal rasching rings works effectively. These lightweight tower packings have simple & compact structure. Really awesome! 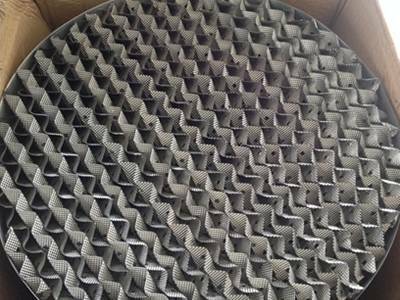 Metal perforated plate corrugated packings we have bought are well suited to our packing towers. They are good at separation treatment.